New York, NY (October 11, 2018) – It happens with the suddenness of a broken shoelace. Clear blue skies turn angry and gray. Gentle southern winds that once rippled the water’s surface evolve into frigid northerly gales. Bright leaves of crimson and gold are driven mercilessly from their trees, and in the blink of an eye, rain converts to the first snowflakes of the year. With all of its bawdiness and urgency, fall has arrived across the northland. Beneath the waves, primal forces drive finned apex predators across North America’s musky belt into their fall feeding rampage. 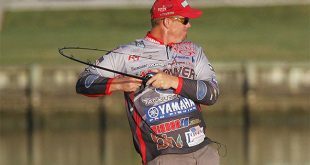 Bundled against the elements, anglers hurl giant rubber baits, speed troll oversized crankbaits and soak suckers on quick-strike rigs, ready to do battle with long, deep fish adorned with vibrant spots and stripes. Let there be no doubt, fall is musky season. 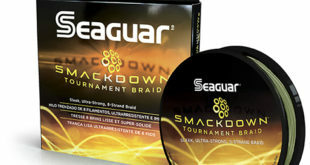 Seaguar, the originators of fluorocarbon fishing line, has harnessed decades of manufacturing expertise and countless hours of on-the-water musky casting, trolling, and sucker-soaking experience to produce a unique collection of braided lines and 100% fluorocarbon leaders that will help you catch, photograph, and safely release more muskies this fall – and every other season that you follow the Esox siren song. 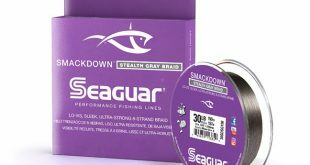 Seaguar Threadlock is perhaps the most evolved braided line that muskies have ever encountered. A 16-strand hollow-core braid, Threadlock is engineered for exceptional tensile and impact strength, which protects the line against bone-jarring strikes and supports powerful, musky-pinning hooksets. An exceptionally strong line with a smooth finish, Threadlock lays down beautifully on the reel and enhances casting distance, so you can throw big baits further and cover more water with every cast. Maina is also a fervent voice in support of musky conservation, advocating for techniques and equipment that protects muskies once hooked and enhances their survival rate after the release. That 1950’s era wire leader that pike and musky anglers used to prevent bite-offs? That leader may save lures, but it’s incredibly hard on fish, as it can slice into flesh and scrape off protective slime as a hooked musky rolls and tumbles during the fight. 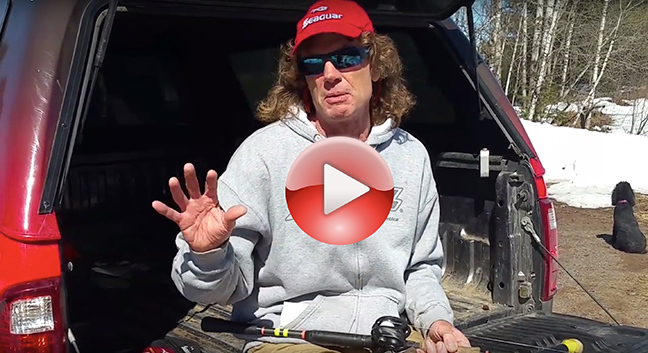 Seaguar engineers have developed a strong, stealthy solution to this musky conservation issue with AbrazX Musky and Pike Leader. An exceptionally abrasion-resistant leader with extraordinary tensile and knot strength, AbrazX Musky and Pike Leader is manufactured from Seaguar 100% fluorocarbon resins, yielding a robust leader with low memory, soft feel, and extremely low visibility beneath the surface. And perhaps best of all, a Seaguar fluorocarbon leader won’t injure that trophy Esox during or after the battle. 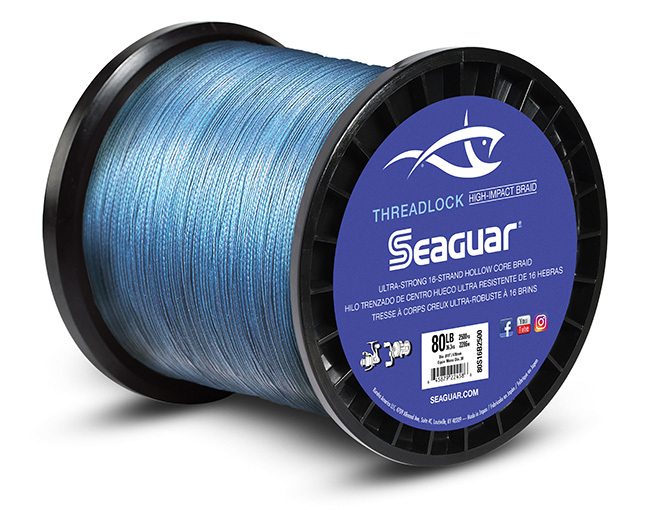 Ultra-strong Seaguar Threadlock is available in line tests ranging from 50 to 200 pounds, in blue and white colors, on both 600 yard and 2500 yard spools. 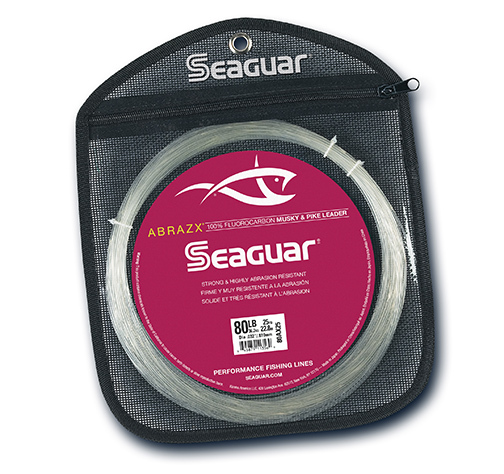 You’ll find Seaguar AbrazX Musky and Pike leader in 25 yard “big game” bags, in 80 to 130 pound tests. Both Threadlock and AbrazX Musky and Pike leader are available now, to help you catch more muskies this fall – and every season. 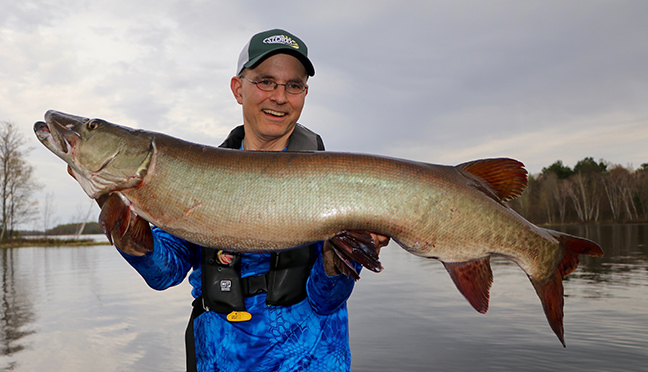 Over the next several weeks, anglers will pursue some of the biggest, baddest, and smartest muskies prowling lakes and rivers across the Northland, under conditions that test equipment and the wills of anglers to use it. With Threadlock 16-strand braid and AbrazX Musky and Pike 100% fluorocarbon leader as integral components of your fall musky arsenal, you’ll hook, land and release more trophy-caliber Esox this fall than ever before. Indeed, with Seaguar lines and leaders connecting you to your toothy quarry, you’ll quickly understand why Seaguar is Always the Best! Next Pound Them with a Smaller Hammer!